You need to be a member of Huntington Beach Corgis!!!! to add comments! I added the SPCA Walk for the Animals to the events section on the first page. Sounds like fun, too bad Snickers is "broke". 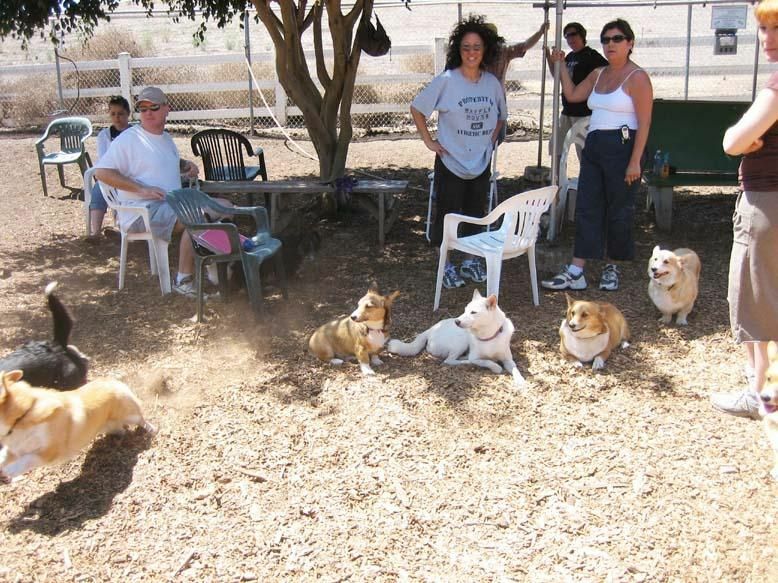 From the Huntington Beach Corgi meetup, 22 Jul 2012.
only 8? must be summer vacation time. I am glad you had a good time. It is quite a drive for us, but I hope to get there again soon. There is a pretty good size group of corgis that meet up at the small dog side of Huntington Beach Dog Park in Central Park (not the beach) every Sunday from 10am - 12pm (most show up around 11 am). Located on the corner of Edwards St. and Inlet Dr.
Hopefully we will see you there sometime! Hi everybody I just wanted to let you know that about a terrible customer service experience with Three dog bakery in Newport Beach. The owner was rude and hostile with me. All I was trying to do was follow through on the policy that I had been told was instate and complied to with all of their requirements. I was sure to keep my temper under control considering the attitude I was receiving. I highly discourage everyone from going to this location. Anyone going to this event? There's a 5k event that I'm thinking I'm going to with Trice. It's in Fountain Valley on August 2nd. we will be there this sunday! watch out for the husky named moose. he is aggressive and does not back off when the dog he is attacking yelps.